A visit to Kerala’s largest waterfalls and to one of the most charming hill station will indeed be a different and an adventurous journey. Promising this difference and an enjoyable journey, Leisure Tours – the trusted tour operator in Munnar provides the Kerala Hill station tour packages. With carefully designed tour itinerary that takes one on a four day trip – starting from Cochin, covering Munnar and Athirappally the Kerala Hill station tour packages from the this leading Munnar tour operator will sweep one off their feet. During this four day trip from this reliable Munnar tour operator, one can experience adventurous trekking at Munnar hill stations. Thoroughly enjoy the trekking activities and scenery at Munnar and head off to Athirappally, where one will be greeted by the mesmerizing waterfalls. Have a bath, climb rocks, go for fishing, etc. make wonderful memories that could be cherished for a lifetime. Arrival and assistance at Cochin Airport /Ernakulum Railway station /Bus stand. Before starting off to Munnar, we provide you options to freshen up and have breakfast. Blessed abundantly by nature, Munnar welcomes each and every one to witness her charm. The hair pin bends, winding roads, tea plantations and the low laying clouds all welcome you to the paradise – Munnar. 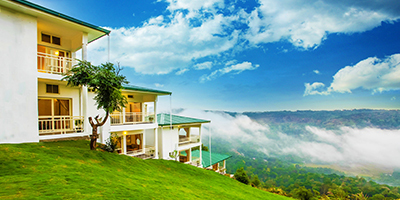 On reaching Munnar, check-in at the resort arranged for you where you can take rest. Overnight stay at Munnar hill station. . Enjoy a delicious breakfast at the hotel and then your journey sets off for further explorations and memorable experiences. This Kerala hill station tour package will give you a beautiful tour through Munnar, whose natural beauty is rivalled by none. Munnar is a home to a wide variety of flora and fauna and has a great number of beautiful views and landscapes. Ensuring one a rich experience close to nature, the Kerala Hill station tour package from Leisure Tours - the best Munnar tour operator will give one an amazing experience. (Optional: Top station /Nayamakkadu Watefalls / Lakkom Waterfalls). Have breakfast at the Hotel & check out. Later, drive to Athirappally hill station – also known as the Niagara of kerala. Athirappally is a nature’s treat; with the sound of the flowing waters and the richness in natural beauty altogether, Athirappally is one of the most rejuvenating and relaxing place that is sure to take anyone’s breath away! Athirappally is situated at almost 47 km away from the Thrissur. Enjoy the falling milky waters, have refreshing bath in the cool waters, climb rocks, take pictures and have some of the best moments in your life with best tour operator in Munnar. Optional : Dreamworld Water Theme park at extra cost for entry fees . Enjoy a nice breakfast from the resort the check-out from Athirappally Hotel by 10 am. It’s now time to bid goodbye to Athirappally and to the fabulous few days of enjoyment and head back home. If there is enough time, you could go for a small shopping, buying things for those back home at Cochin town. Then reach the Airport or railway station to depart for your journey home. Neatly arranged in a travel itinerary, first the charming hill station and then the mesmerizing waterfalls; this Kerala hill station tour package from the leading Munnar Tour operator will give one the best few days of their life.